Golf - 09. November 2007. Amy is ending the 2007 season with a good run of form, finishing in the top-ten for both the Navistar LPGA Classic and the Long Drugs Challenge. She now sits inside the top 100 on the Rolex Women’s World Golf Rankings and will be keen to finish the year with a victory in this prestigious team event. 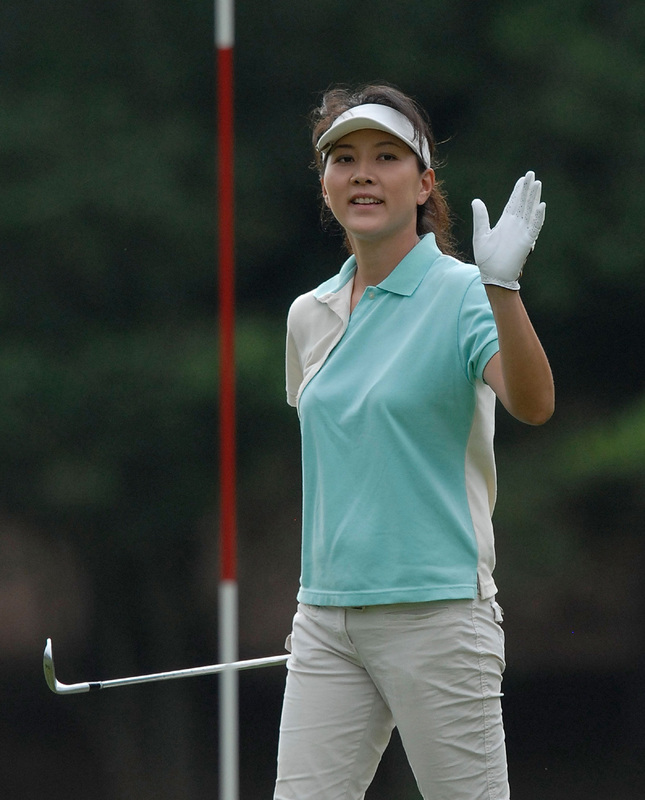 "I am so proud to be representing Asia, to be representing the Chinese people and to be representing Chinese Taipei," said Amy, a former World Junior Champion who is on her fourth season with the LPGA. Nearly doubling her earnings this year, she has become a consistent performer on Tour and at the age of twenty-seven, she has plenty more to achieve and many more potential Lexus Cup appearances ahead. Hung put in a good performance at the HSBC Women’s Match Play Championship in July, reaching the final eight before losing to eventual runner-up Ai Miyazato. This match-play experience will be a valuable asset to Team Asia who go to Perth looking to retain the title they narrowly took from Team International in Singapore, 2006. Asian golf continues to strengthen with 12 Asian players currently in the top 25 players on the Rolex Women’s Golf Rankings. The contest is going to be very close once again with everyone adjusting to the new course in Western Australia, and an International location which will expose the Australian market to a top line up of some of the best female golfers in the World. With one Captain’s pick for Team Asia decided, Se Ri Pak will be looking to make her second choice over the next few weeks. The final line up for both teams will be confirmed following the ADT Championship on November 19th. The 2007 Lexus Cup is officially sanctioned by the LPGA as its season-ending event. Selection for places in both the International and Asian teams is based on the Rolex Women’s World Rankings and the LPGA Official Money List, along with captain’s picks and sponsors exemptions. Team Captains Annika Sorenstam and Se-Ri Pak will lead the teams of 12 players over the three-day tournament, competing in foursomes, fourball and singles.